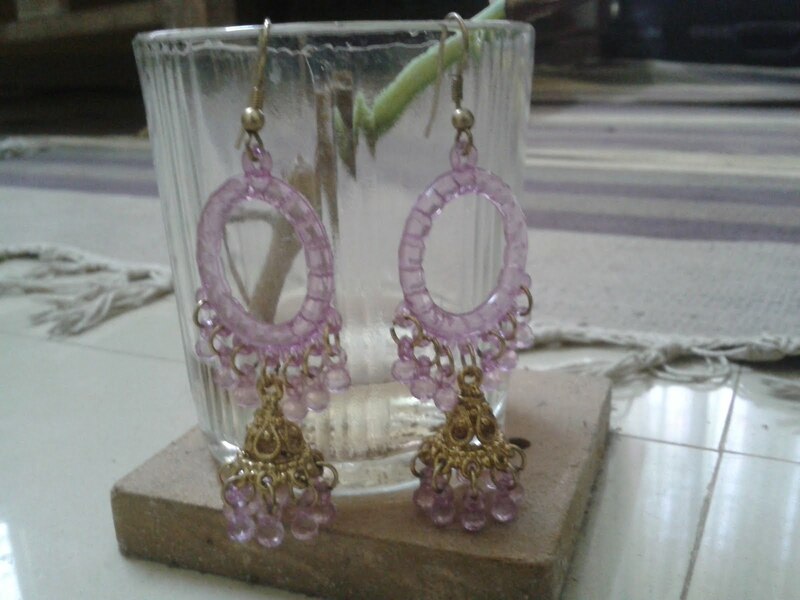 These were my favorite pair of jumkas from about 4 years back and today dug em up from my backup box after a long long time. I was quite confused about the pair of earrings I wanted to wear with my purple/black salwar suit for my colleagues wedding for tomorrow. 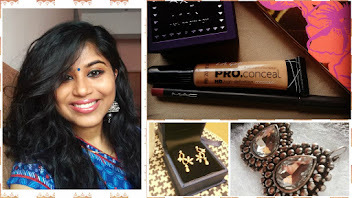 The shawl I was supposed to pair with the suit had delicate gold thread work and that kind of screech halted my decision to wear black+silver earrings. I am a traditionalist when it comes to GOLD/SILVER pairing. I cannot seem to like the idea of pairing silver/gold earring with gold/silver toned dresses respectively. 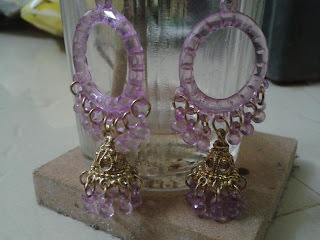 With limited purple options in my jewellery box I was contemplating the idea of buying a new earring. Well, to buy something new just for a wedding didn't seem feasible so I scrambled through my BACK-UP box for inspiration. 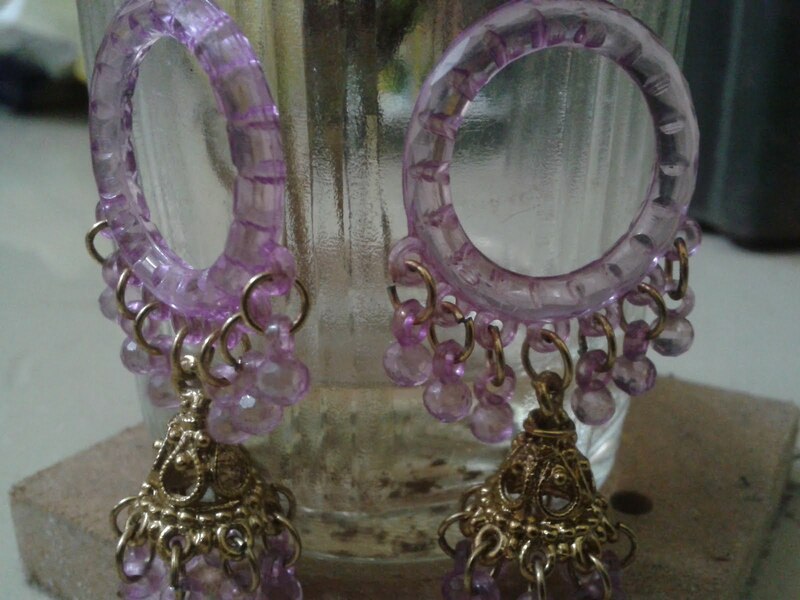 The purple+gold earring is a perfect match for the salwar suit and I am plain excited. 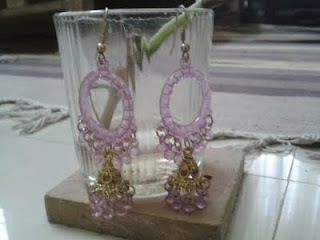 Do a complete outfit post with the earrings as well!